Medical facilities have numerous methods of disposing of hazardous waste, the most common of which is incineration. Incineration is the process of burning hazardous waste at a high enough temperature that contaminants are destroyed. Any facility that chooses to incinerate their hazardous waste must utilize an EPA-approved incinerator: a furnace specifically designed to burn hazardous waste in a combustion chamber. 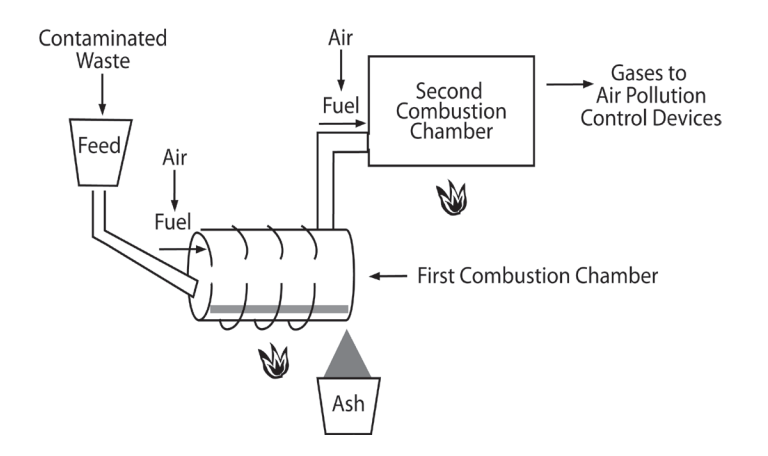 Incineration occurs in two steps. The first is drying the hazardous waste, evaporating the remaining water so that burning of the waste may occur. The second is the actual combustion of the hazardous waste. Following treatment, the waste is pumped into a combustion chamber and burned at a specific temperature for a specific amount of time. As the hazardous waste burns, the contaminants change into gas and are mostly destroyed. 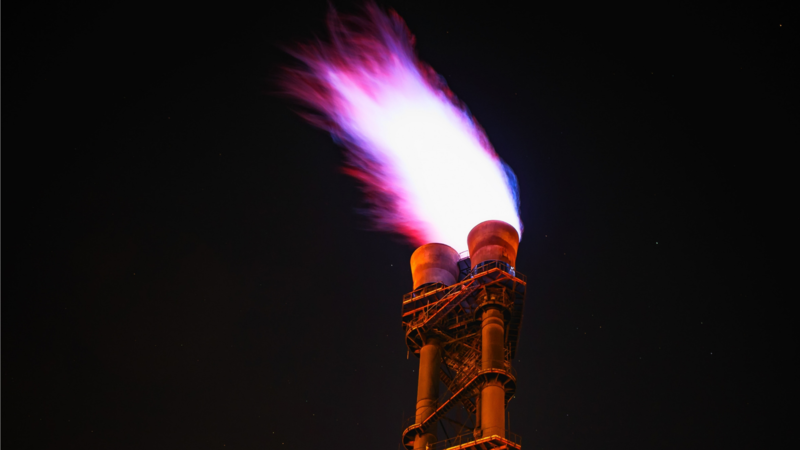 Any remaining gas is funnelled into a second combustion chamber where it passes through air pollution control devices which remove any environmentally harmful materials. Devices attached to the incinerator that filter remaining gases for particulates are integral to reducing the environmental impact of incinerated hazardous waste. “Equipment must be able to control particulate emissions, gases [such as nitrogen oxides (NOx), sulfur oxides (SOx) and carbon monoxide (CO)], and other characteristics such as opacity.” Particulates can be controlled through numerous means: wet scrubbers, fabric filters, and electrostatic precipitators. Wet scrubbers can remove 90 to 98 percent of water soluble contaminants such as hydrogen chloride, sulfur dioxide, and ammonia. Fabric filters can remove 99 percent of particles at “submicro sizes” as incinerated gas is passed through a series of filters. Electrostatic precipitators can remove 99 percent of contaminants by negatively charging particles which are then attracted to positively charged plates. Filler in cement and brick manufacturing. Subbase material for road construction. Daily landfill cover (must be pelletized first). Ingredient in footing at athletic facilities, including baseball diamonds, and equestrian facilities, such as race tracks and arenas.